I have never taught about global warming in my kindergarten class. Have you? 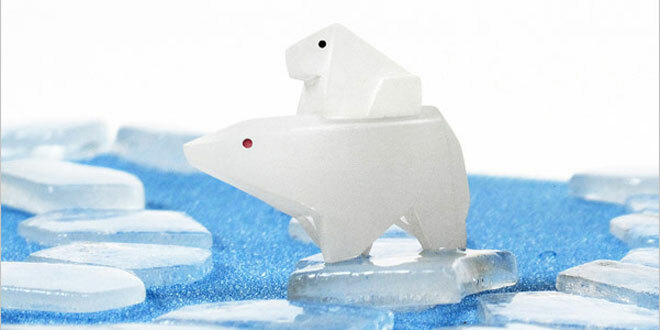 I have not even talked to my own children about how polar bears and other cute animals are losing their homes as a result of global warming. Perhaps because it is an issue that is new to me. After viewing the following video, I realize that as an educator, it is important to teach children about how our world is actually “melting.” It will be our children and our children’s children who will have to solve these problems. It is our job to prepare them. 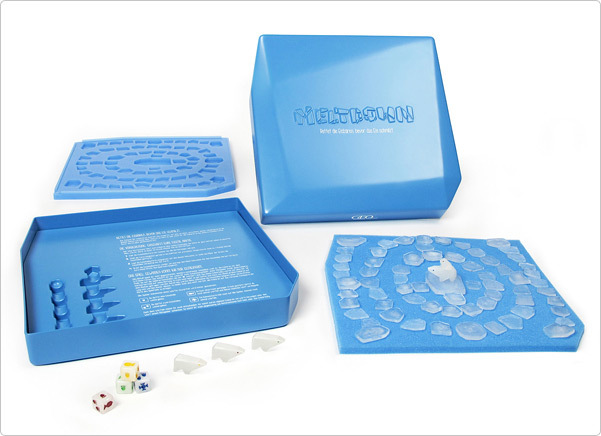 One way of teaching them about the dangers of the melting Arctic, is through a board game that actually “melts!” A german company created it. This short video clip explains it in a snapshot. Enjoy! Creativity has been deemed as a 21st Century Skill, because creative ideas can lead us to success in society and in our jobs. Have you ever thought about what creativity actually is and what it means? When I think of this word-I think about something unique, inspiring and eye-opening. In its most basic sense, creative means “original and of high quality.” (Perkins, 1981). 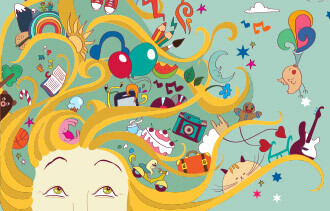 According to Wikipedia, creativity is “The use of the imagination or original ideas, esp. in the production of an artistic work.” Encarta dictionary agrees. So, basically, to be deemed “creative” one must produce an original idea. Are you creative? I am not. I can easily copy someone’s painting, but producing one from my own imagination is more tricky and near impossible! According to a recent article in Educational Leadership magazine, creativity can and should be taught. The most important key is to give our children constructive feedback. This article asserts that we teachers must first set clear goals for our students. We can’t just say “Write a creative story!” First, it is important to emphasize that the story should be original, inspiring, and imaginative. However, I like how Perkins included that creative products should be of high quality. Perhaps teachers could even facilitate a thinking session where students discover and list what creativity means. If I create a new BMW model, and it looks great yet it breaks down continually, then I was simply not creative. However, if I create a new BMW car with features unlike any other car and superb quality…well then, I was creative. In the same respect, we can teach our children the differences of “original” products and replica’s. We don’t want our students to just copy and mimic everything that is taught to them. Yes, we want them to have knowledge, but it is how they use that knowledge to create new things that is of vital importance. 1. Set goals for students products and creative works. 2. Help students see the difference between originality and replica’s. 3. Have a creativity lesson! Brainstorm what is means. 4. Emphasize the importance of original and high quality works. I would love to hear your thoughts! What is creativity to you? How do you help your students or children be creative? 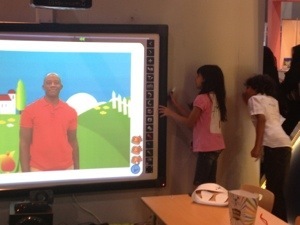 This video below displays the true magic and capabilities of the Interactive White Board. I have been so blessed to have one in my classroom and the children just love it. However, what they love most is when it is their turn to “touch” or interact with the board. 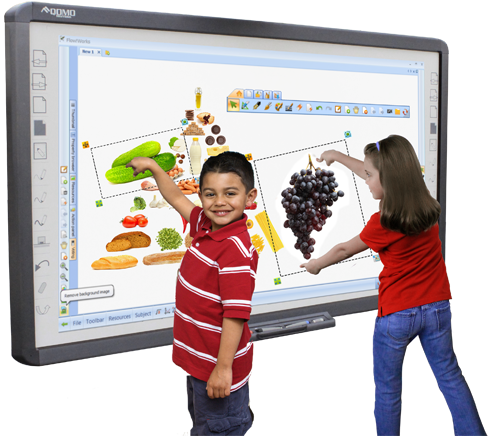 When I first integrated the Interactive Whiteboard into my classroom, I was unsure of how to involve each and every child. I must admit that I used it to show short videos and read-aloud animated story books. However, as I became more comfortable with its capabilities, I learned how to manage my students so that each child truly interacted and had a turn at some point in the day. This took practice and patience (from my students). I finally came to the point that each time we sat down for a lesson or activity at the IWB, not each child would have a turn. I helped them understand that if they did not have a turn at that moment, that they would later. Since tracking who had a turn was a challenge for me, I gave each child a number. They learned their numbers so quickly. Whenever it was time for a child’s turn, I simply called out the next number. And believe me-no one forgot when it was their turn, who had a turn already or who was absent and couldn’t have a turn! I must emphasize that the most important feature is its capability to interact. The worst thing that it can be used for is a tv or movie player. Let’s face it, our students go home and watch tv-and most likely – alot. Their brains need interactive stimulation. They need to stand up and move their bodies and fingers. They need to think about the appropriate action. They do not need to just sit and listen. The IWB should not be used as another “teacher” who just talks and provides knowledge. So, I encourage you to allow the students to interact with the board. Remember-its not just a whiteboard. 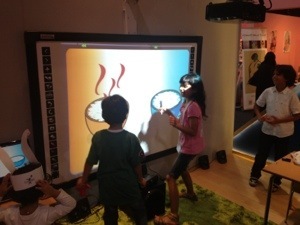 It’s an Interactive White Board! Zoodles! A Kid Friendly WebSite Surfing Tool and More! If you haven’t checked out ZOODLES-you really should. It is a great website and app that I am having trouble explaining how awesome it is! My kids love it. It is free and took just a few minutes to set up my children. By typing in thier birthday, the app/website automatically generates age-specific games, stories and websites for that child. My kids love opening the app and clicking on thier name and picture to direct them to their very own learning site! I downloaded it on my Kindle Fire, iphone and home PC’s for my own 3 children. It send me a report each week of what they did. It is educational and provides age and kid-friendly websites and YouTube video’s for each of them. I think it is a great way of keeping track of what a child has been working on. It can also be used in the classroom. Think about those children that are not easily motivated…..well this could be a solution. Zoodles has games, website, and a doodle pad to encourage creativity. Each picture that the child creates, is saved and sent to you on a weekly email report. It’s like a portfolio. Here is what the weekly report looks like….. Drawing that the child made…. It even has video mail! You send an email to the person you will allow and then they can send a video message email! How cool is that, right?!! It is great! I just had to share my excitement with you! The iPod came on to the market in 2007-the birth year of my third child. By age 2 he somehow got hold of it and he was satisfied during fussy spells. I found that this device could be used as a quick babysitter while I did my grocery shopping! Soon, my then 4 and 6 year old children became interested in playing on the iPod too! 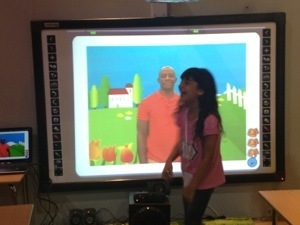 I helped them each find so many free apps that were a mix of games and educational fun. We began reading and listening to bedtime stories on it. This was by far, a cooler toy than the Atari that I played when I was a child! However, I did witness some negative effects from too much iPod use. Just like with any toy, when I needed to take away the iPod (because I needed to use it) my children would have tantrums. I finally had to put my foot down and use the microwave timer to allow each child to play for 10 minutes at a time. They learned this routine well and the tantrums became non-existent. Too much of a good thing can definitely become a bad thing. In fact, in 2001, the American Academy of Pediatrics recommended no screen time for children under age 2. I am sure some parents have already introduced their babies to the ipod, as I did, however no research proves that ipod use is damaging. Some studies do warn that attention and behavior problems could result, though. However, too much of anything can be damaging, right? Too much computer, TV, alcohol, video games, ice cream, shopping can be detrimental. We must be careful to ensure that a child is not engrossed in using any device for long periods of time. Adults must rely on their intuition and anecdotal evidence to guide their decision making about when and how much technology their children interact with. It is our responsibility to teach children (and ourselves) the appropriate and inappropriate uses of such new novelties. Technology can make the lives of children better, as Warren Buckleitner proclaims. The NAEYC also asserts that “we now have the tools we need to start improving the quality of childhood.” What research does tell us, is that “the brain is changing in response to the changes brought about by the high tech information age in which we live” (2010). Did you know that our brain has cravings? Sprenger’s research reveals that the brain craves novelty, excitement and innovation (2010). Technology such as: iPods, iPads, video games and interactive white boards offer children (and many adults) this type of stimulation. (Buckleitner, W., 2000) “A Day in the Life of a Kid in 2020” Children’s Software Review, January/February. (Sprenger, M., 2010) Brain-Based Teaching in the Digital Age. ASDC: Alexandria, VA. 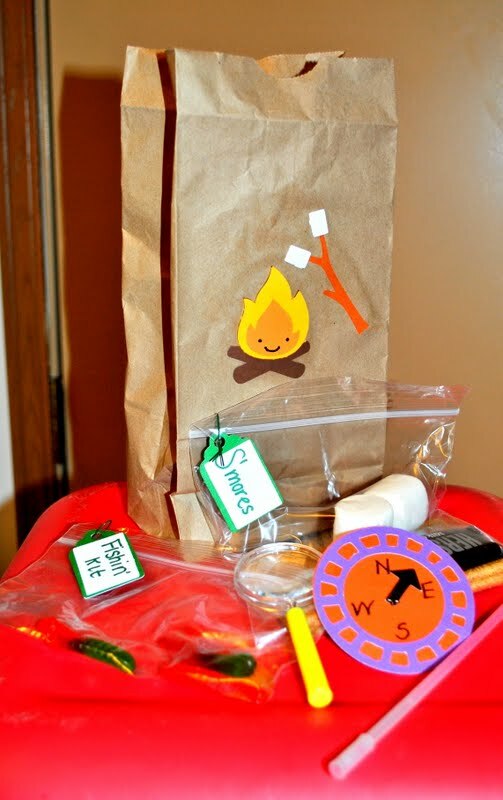 Homework Stinks – but Kid boxes are Fun! Let’s face it-homework stinks. Kids hate it and teachers hate creating it and finding creative ways to get children to complete it on time. Long, paper and pencil homework is not 100 % productive for Pre-K and Kindergarten children. They learn by playing and they have fun by playing-not being tortured with writing and sitting for long periods of time. So, what to do, what to do, then? Children need to be active-and not necessarily with a paper and pencil. Well, some brilliant moms and teachers must have been pondering similar ideas and dilemmas. The problem has productively been solved with the Busy Bag, Travel kit, Theme Bag-whatever you call it! 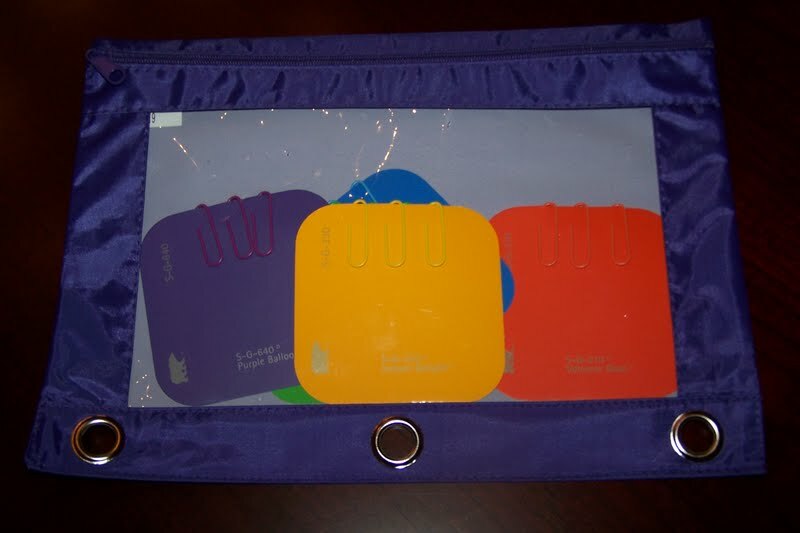 It is a bag/box/container that is filled with fun stuff and it keeps a child engaged for more than five minutes. I am on a mission to create a learning kit, in comparison to the ideas that I discover. My goal is to make a kit based on what a child is currently learning about in my classroom. 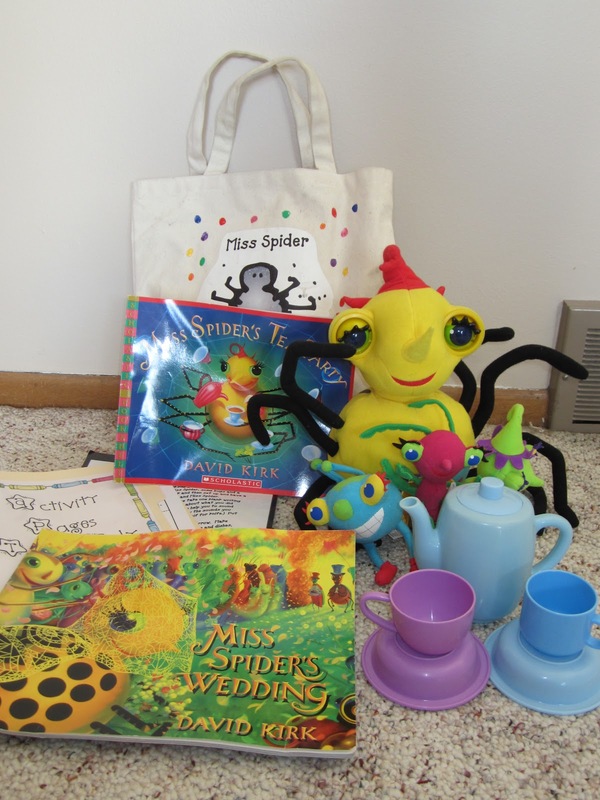 So, because I know that in reality-these Take Home Kits are not my own brilliant original idea, I am setting off on my own journey to discover what other teachers and moms out there have already created. To begin finding inspirations, I begin with Pinterest (of course!) Hmmm….so…..what will my Take Home Kits look like? Maybe, it will look like these that follow, perhaps???? Ok-now I have been inspired. I am ready to begin planning the contents for my Take Home Learning Kits. My goal is to incorporate learning and educational stimulation with the activities provided in the Kit. I want my students to have fun, enjoy thinking and using art, as well as be challenged with Math and Language tasks. I also want my kits to contain a real book, puzzle, art activity, technology element, drama task and incorporate collaboration with a parent. I am so excited. My journey begins.